The trick is to find how much GPU and CPU performance your PC requires, and where you can save money by not purchasing an overly-powerful CPU. Arctic Cooling has unveiled its new lineup of AIO liquid CPU coolers compatible with AMD’s upcoming Ryzen Threadripper processors. We compared the South African pricing and specifications of the latest desktop processors from Intel and AMD. AMD has released a solution for reduced Ryzen processor performance on Windows 10. A group of professional overclockers at AMD’s Ryzen showcase have broken the Cinebench R15 world record for eight-core processors. 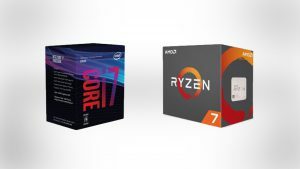 AMD’s new Ryzen 7 processors – aimed at high-end desktop users – are available for pre-order in South Africa.